The post De De Pyaar De First Poster: Ajay Devgn Recreates His ‘Phool Aur Kaante’ Stunt Alongside Tabu & Rakul Preet appeared first on Bollywood latest news. 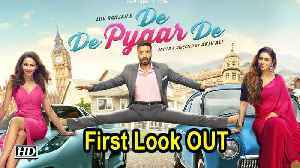 The first look of Ajay Devgn starrer De De Pyaar De is out.The comedy drama also stars Rakul Preet Singh and Tabu in lead roles. Ajay Devgn, Tabu and Rakul Preet Singh unveil the trailer of their next film De De Pyaar De. Watch the full trailer launch event. Ajay Devgn and Tabu reunite again for yet another rom com De De Pyaar De. Today at the trailer launch event, some hilarious moments were captured. Check out the best moments from the launch. 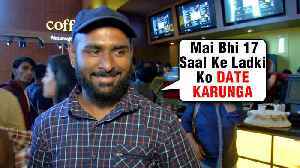 Watch fans EPIC reaction on Ajay Devgan,Rakul Preet Singh,Tabu's film De De Pyaar De. 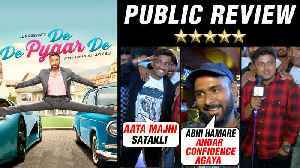 Watch what this fan has to say about Ajay Devgn's role in the movie De De Pyaar De. Actor Ajay Devgn, is known for his action films as well as for his comic timing also in Bollywood. Today, the actor celebrates his 50th birthday and on this occasion, his wife, Kajol wished him in the..
Actor Ajay Devgn, who has done lot of interesting roles in his filmy career, has completed half century and turned 50 today on his birthday. On turning 50, Ajay shared the trailer of his upcoming flick.. Known for films like "Yaariyan" and "Aiyaary" actress Rakul Preet Singh says teaming with veterans like Ajay Devgn and Tabu in Luv Ranjan's "De De Pyaar De" made her work harder. 'De De Pyaar De' song 'Vaddi Sharaban': Rakul Preet Singh is high on energy but Ajay Devgn is tough nut to crack!